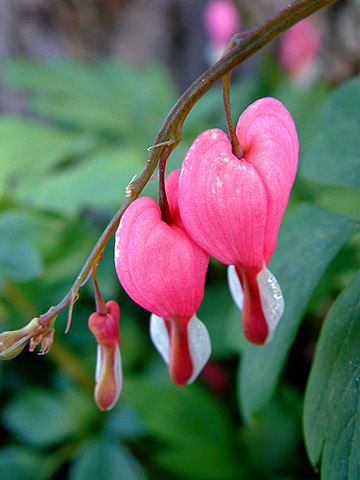 Bleeding Heart seeds need chilling. Are you itching to get started on your spring garden? Regardless of the prognostication of groundhogs, those of us living in the high country can expect far more than six additional weeks of winter. It’s only the end of February, and we can get snow through May and even into June. Yet, reports of crocuses and rhododendrons from other parts of the country waken in us hope that there must be something we can be doing now. If you placed your seed order last month, odds are you’ve received your seeds. You’re desperate to plant some, but you know it’s way too early. Overgrown, leggy seedlings are failures in the garden. Well, you’re in luck. You can—you should—get started on some of those seeds. The seeds of many plants want to make sure it’s spring before they germinate. They determine that winter has past by keeping track of their exposure to cold temperatures. Therefore, the gardener hoping to germinate these seeds must simulate winter conditions. This is done by a technique called “stratification”—chilling the seeds for several months outdoors or in the refrigerator or freezer. Additionally, some seeds (such as lettuce and delphiniums), which normally germinate easily, become dormant when subjected to temperatures over 75°F. Stratification will break this induced dormancy and allow the seeds to germinate. To stratify seeds, first plant them in containers according to the directions for starting seeds indoors [see my posts from March and April, 2009]. 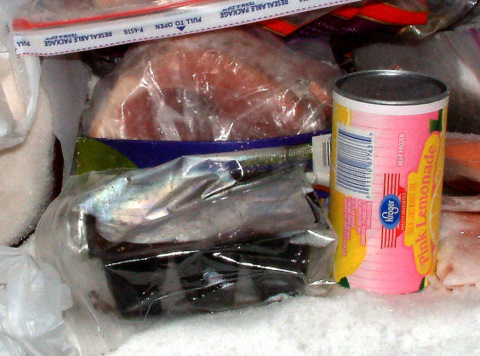 Place the containers in a plastic bag and put them in the refrigerator or freezer for 4 – 12 weeks. If you live in a cold winter area, you can also seed flats, cover them to prevent drying, and set them outside in a shady exposure. Just some examples of seeds preferring or needing a cold treatment include aconite, bells of Ireland, bleeding heart, columbine, Cotoneaster, daylily, Euonymus, gas plant, hellebore, hickory, holly, juniper, lavender, Lathyrus spp., lupines, Meconopsis spp., parsley, peony, phlox, Primula, species roses, serviceberry, trillium, Viola spp., and many other hardy shrubs and trees. Most Colorado natives also fall into this category. As if all this weren’t enough, some seeds are so finicky that they require both chilling and warmth—in the right order. For example, Trillium needs three months of stratification, then three months of heat, and finally another three months of cold before it will germinate! Luckily, most of these seeds are not ones typical gardeners grow. If you are attempting to germinate the seeds of unusual plants, such as native wildflowers, you may want to investigate further to see if they have more complicated requirements.